Hungarian Talmudist of the seventeenth century; son of Ephraim ben Jacob ha-Kohen, whose home in Ofen he left for Jerusalem in 1685. 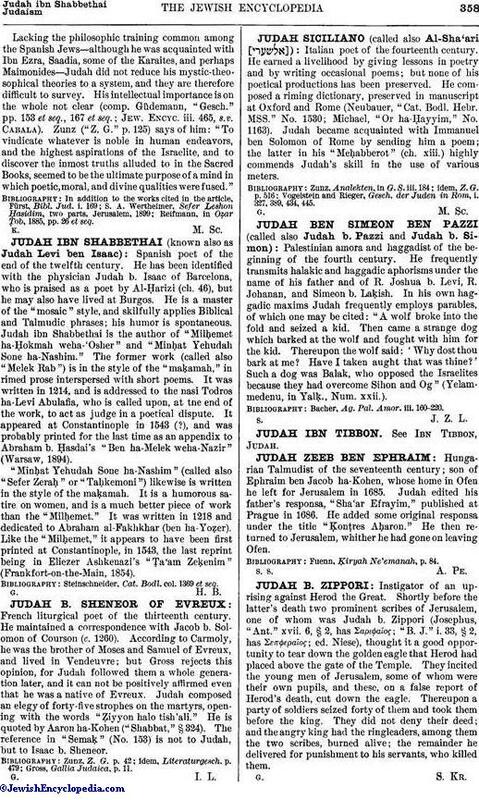 Judah edited his father's responsa, "Sha'ar Efrayim," published at Prague in 1686. He added some original responsa under the title "Ḳonṭres Aḥaron." He then returned to Jerusalem, whither he had gone on leaving Ofen. Fuenn, Ḳiryah Ne'emanah, p. 84.